Some festive finds for you all today, these lovely treats will make great Christmas additions to your festive season so snuggle by the fire and have a look at the December Finds which have made it into my kitchen! Radnor Preserves which was founded by Joanna Morgan in 2010, is said to be one of the finest Artisan Jam and Marmalade makers in the world. The ingredients are all locally sourced and hand prepared in small batches. Best of all, they are suitable for Vegetarians and Vegans! Joanna has a real passion for creating unique and special flavour Jams, which include ‘Strawberry & Champagne’, with whole strawberries, ‘Rhubarb & Caramelized Fig’, ‘Blackcurrant & Vanilla’, the award winning ‘Raspberry & Crushed Cardamom’ and many more. Radnor Jams have even been featured on HM the Queen's table! I was sent some Blackberry and Cracked Pepper Preserve to sample. I was blown away by the taste and the texture of the jam. The jam was packed full of fruit, with large chunks of blackberry - berry delicious! I would definitely recommend sampling some as it is definitely a cut above other jams a preserves. 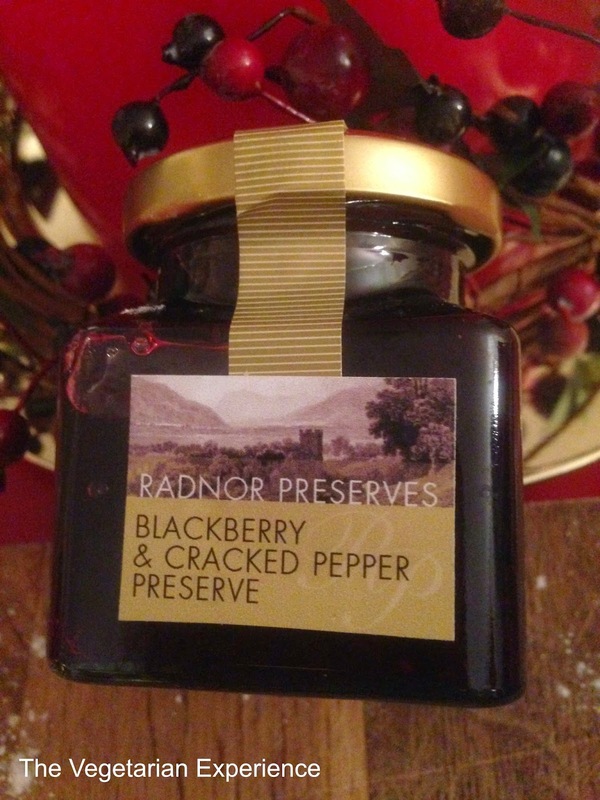 Radnor Preserves would make a fantastic Christmas Gift. A gift box of three costs £15 plus postage and packing and can contain a personalised message if wanted. New from Bannisters Farm Range are Bannisters Farm Bites, tasty mini Potato Skins which make a great creative canape at dinner parties, or just simply a great snack over the Christmas season. 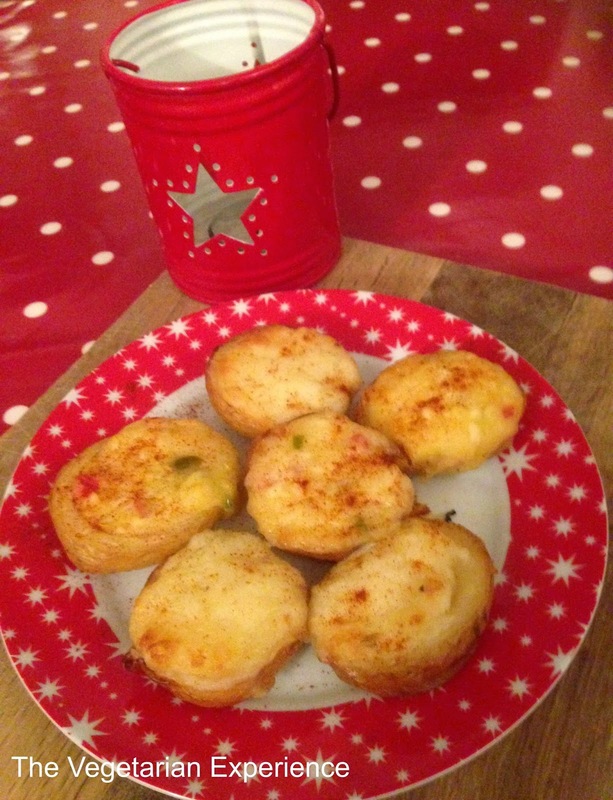 Available in Vegetarian-friendly Cheese and Onion, or Cheese and Jalapeno flavour, all you need to do is just pop them in the oven for about twenty minutes before they are ready to serve. We were sent a packet of each vegetarian flavour to try, and I was suitably impressed at how easy they were to prepare and serve. They also tasted absolutely delicious, not like the traditional cooked from frozen potato. There was masses of flavour in there. I think that these potatoes would make a great quick to prepare snack for unexpected guests over the festive season and would definitely warm you up! We served the Farm Bites as part of a hot buffet on a particularly cold day, and hubby loved the Cheese and Jalapeno flavoured ones, whilst the kids devoured the cheese and onion flavoured potatoes. Bannister Farm Bites are available from most major retailers priced around £2.30 per pack. 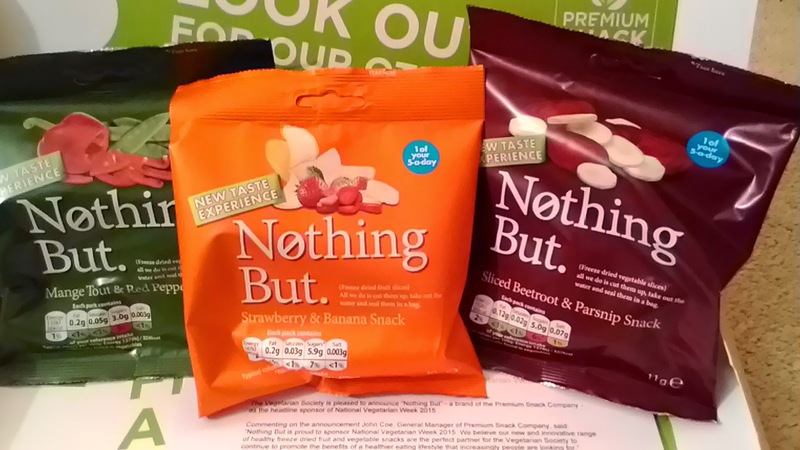 Nothing But - A brand of The Premium Snack Company have just been announced as sponsors of National Vegetarian Week 2015. Nothing but are a range of healthy freeze-dried fruit and vegetable snacks, with flavours such as Beetroot and Parsnip, Pea and Sweetcorn, Mangetout and Red Pepper, Strawberry and Banana, and Grape and Pineapple. The packs contain fruit and vegetables with nothing but the water removed. Freeze dried foods are fast becoming the popular food of choice. "Nothing But" snacks taste great, and also last for much longer by being freeze dried. i would definitely recommend picking up a packet from your local supermarket.